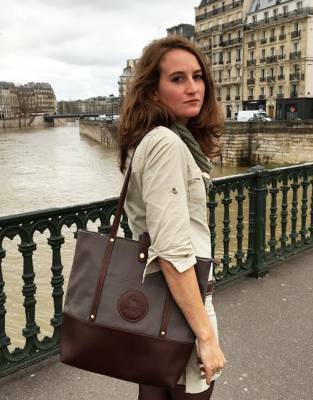 Designed by women with practical features and crafted from durable canvas and beautiful smooth leather, the Safari Tote is the travel, business, and every day bag suited to every element of your life. 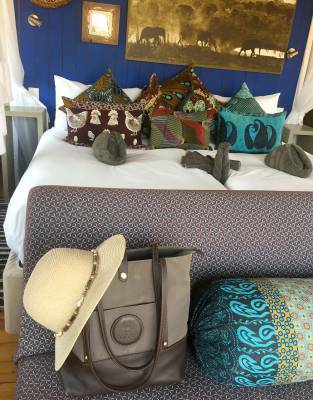 Tasked with further developing the women's range, the ladies on The Safari Store team put their heads together over many brainstorming sessions and bag comparisons to come up with a bag any woman would love. 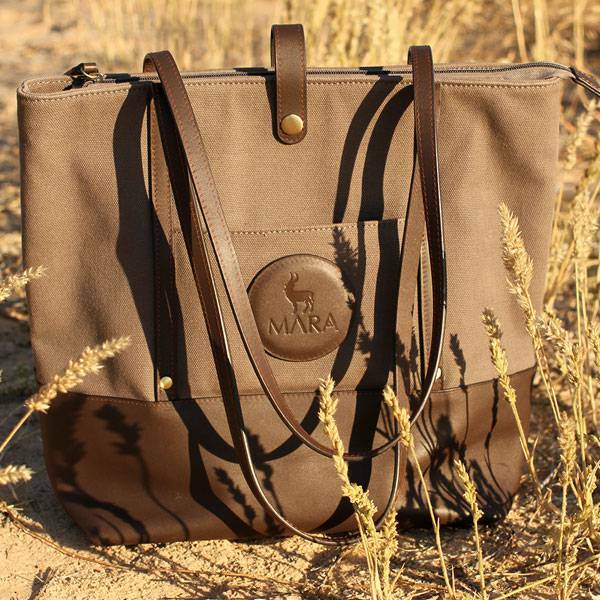 The result is the Mara&Meru™ Safari Tote - a bag made by women for women by a team representing a cross-section of different lifestyles: the mother, the adventurer and traveller, the urban career woman. 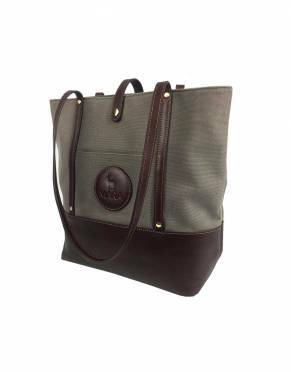 Made from stiff elephant-grey canvas and complemented by dark brown, rich, smooth leather, the Mara&Meru™ Safari Tote has been classically styled to look great and maximise practicality. 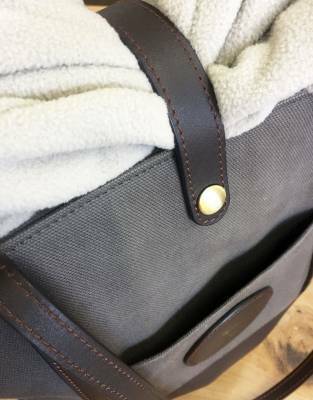 These materials enhance the overall styling of the bag and ensure that it keeps its shape well for many years on your shoulder. 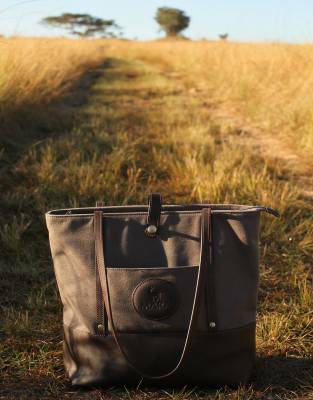 The brass feet on the underside of the bag are to prevent your Safari Tote falling over when you set it down and offers the added advantage of keeping the leather off the ground to avoid scuffing. 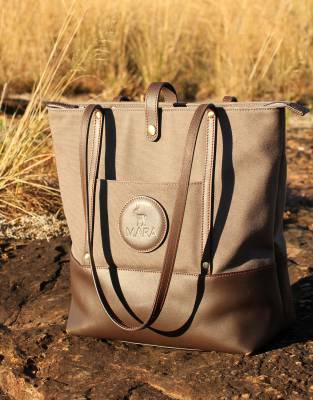 The Safari Tote also has an open front pocket for easy access to shopping lists and smaller items on the go. 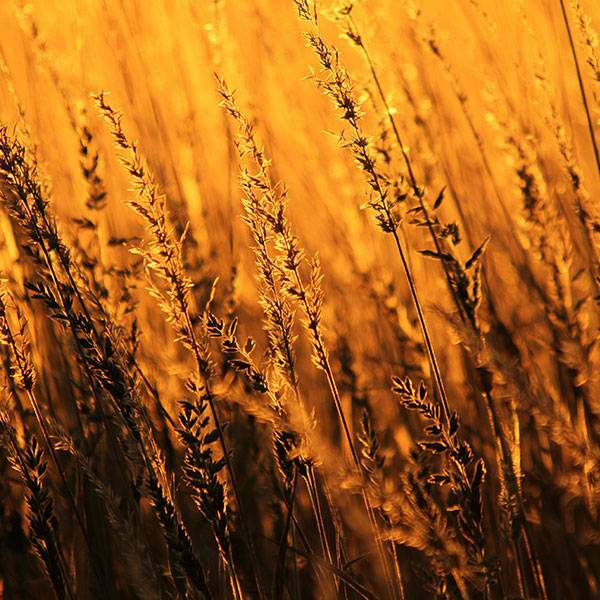 Have these items right at hand when you need them. 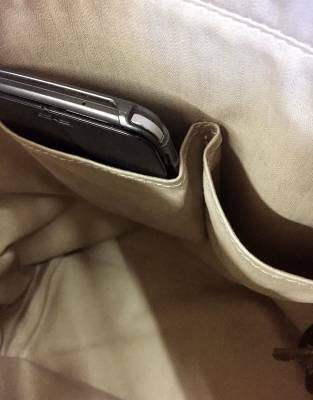 The large interior offers a spacious main compartment which has two smaller open pockets (perfect for your mobile phone and sunglasses) and two larger open pockets to fit a tablet and an A4 book. 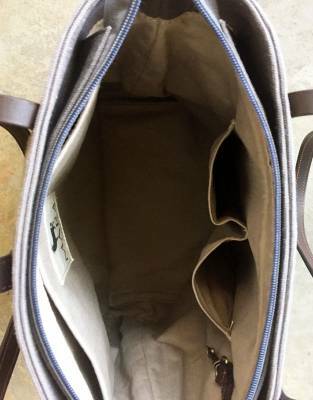 This main compartment is closed by means of a zip running along the top of the bag. 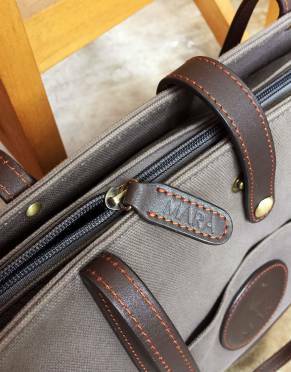 For added security and as a further design feature, a leather strap closes over the top of the zip with a press stud. 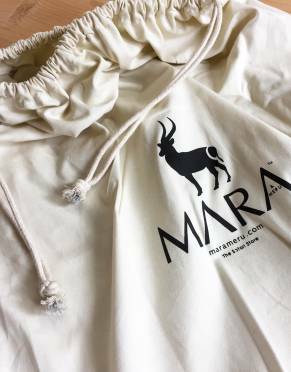 This also serves as a jacket strap - allowing you to secure light jackets and sweaters when you're on the move. 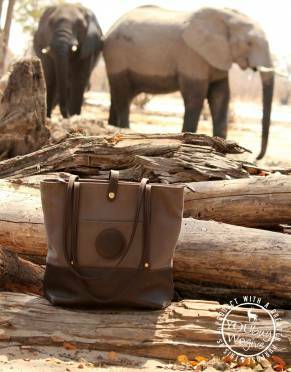 This also complements the Safari Tote's leather shoulder straps with brass detail and the overall styling of the bag. 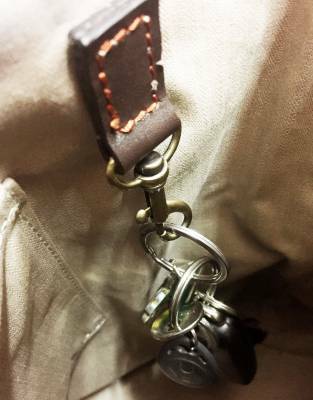 No more scratching around for your keys. 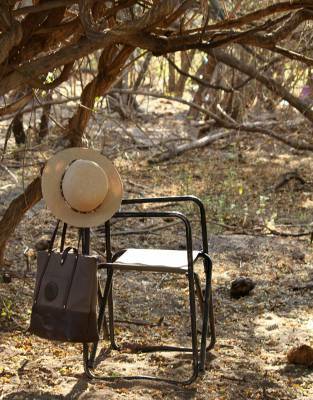 The peril of using a big bag is often that keys are hard to find. 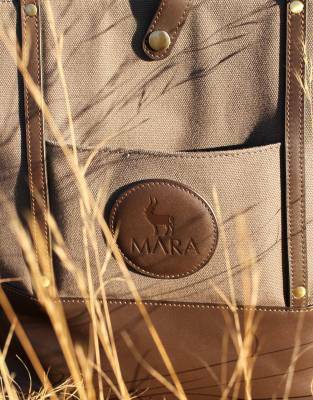 The Mara&Meru™ Safari Tote has a handy key clip on the inside of the bag near the opening, so this never has to be a problem again. 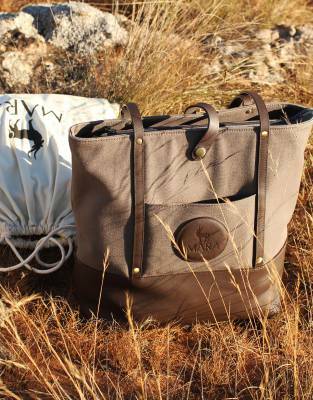 ⊙ MATERIAL: These bags are beautifully crafted from quality canvas and leather with brass detail.